The newly formed Repository Network Ireland (RNI) – created by Aoife Lawton (HSE), Máire Caffrey (Teagasc) and Stephanie Ronan (Irish Marine Institute) – was borne from the founders’ experiences with getting their repositories harvested by the national institutional repository, RIAN. They found that there was a gap in knowledge and support for smaller institutional repositories that could benefit from the creation of a new networking forum where repository managers, librarians and information professionals could meet to share information. With this in mind, RNI extended an open invitation to their first ‘TeachMeet’ in the Long Room Hub (Trinity College Dublin) on the 25th of October. After a welcome from the Director of the Long Room Hub, Dr. Jurgen Barkhoff, and a brief introduction by Máire Caffrey, the 7-minute presentations got underway. The DRI is an interactive national repository for contemporary, historical, social and cultural data in Ireland. It provides a central hub for data from several Irish institutions, in order to link and preserve the data and make it more accessible. The DRI can also be used as an educational resource for students and the general public, supporting Open Access (to at least the metadata). Not only can the DRI preserve data, but it can also create policies and guidelines for best policy in the field of digitisation. A major concern for the DRI is sustainability, particularly as the organisation relies on government funding through the HEA. Currently, funding has been secured until 2019, but a contingency plan is in progress for when funding ends. The DRI built the repository from the ground up through networking and community engagement, with a series of qualitative interviews with national institutions to gauge their approaches to digitisation. Reports and publications are available here. Partnerships have been built internationally as well as nationally, with involvement in DARIAH, Europeana, Decipher, ALLEA and many others. The DRI and INSIGHT will be hosting the third plenary of the Research Data Alliance in Dublin in March 2014, which is a major international research data event. For more information on the resources the DRI provide, please see their website. UCC’s Institutional Repository CORA was set up by the Library to house and showcase research undertaken in UCC. Previously, theses were submitted manually in bound print format and processed by the library, with reference access only. It was decided that the online submission of e-theses through CORA would provide greater visibility, access and impact. The pilot project for online submission of theses began in 2009, and has progressed to online-only submission in September 2013. The project hit an unexpected delay in 2012, when the Academic Council rejected the mandate with a recommendation that an opt-out progress be incorporated. This may have been due to concerns about copyright and publication from certain disciplines in the university. In any case, building an opt-out process involved considerable customisation and the creation of two separate workflows. For the opt-in process, the student registers with CORA – submits to supervisor – work is graded – sent to Graduate Studies Office – Approved – Sent to Library – Loaded up to CORA. The student uploads the abstract and thesis. Metadata is imported from CORA to the library catalogue. (CORA uses DSPACE as a platform, which uses Dublin Core for its metadata. The Library system uses MARC records). In the opt-out system, only the abstract and metadata are submitted to the library, and the supervisor step is skipped. So far, the system has been successful, and allows greater access to theses for students and researchers at UCC. 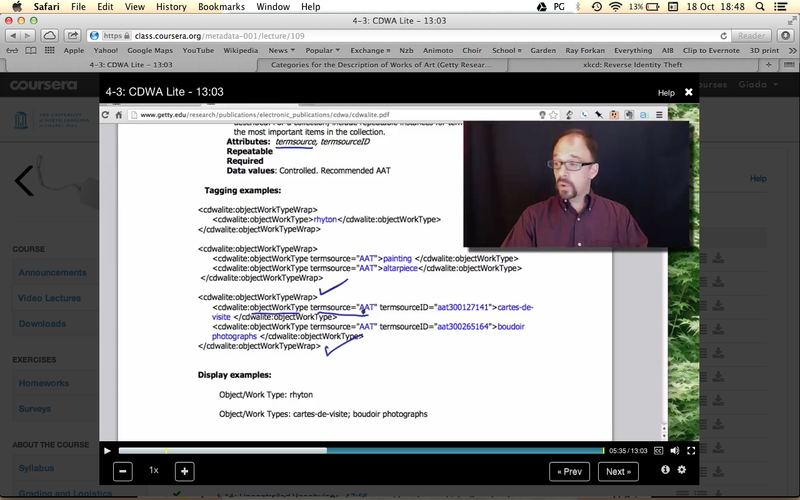 Full text items on CORA are harvested by RIAN. In this presentation, Aoife Lawton gave some helpful advice on setting up a repository in the unique form of a baking recipe! The HSE’s repository LENUS was established to store health-related reports, research and publications in order to provide a centralised knowledge base for medical researchers and clinical practitioners. Ideally, to set up a good repository, you should have a team consisting of a repository manager, at least two qualified librarians on the project team, and a clinical champion to launch and promote the repository. Remember the SPARC method – Scholarly, Perpetual, Institutionally defined, Interoperable and Open Access. The project manager should establish a clear vision and mission statement, strategic plan and content criteria policy. The content should be organised to mimic that of RIAN’s, to make the harvesting procedure smoother. Marketing is also very important – being Web 2.0 enabled (e.g. having a Twitter account and using other social media) can help to promote the repository. Tools such as Google Analytics are very useful to measure the progress of the repository. Finally, check that the repository is serving its users well by conducting surveys or focus groups on occasion. Joseph Greene’s presentation focussed mainly on how to join RIAN, and started with two simple statements: get your repository harvestable, then get RIAN to harvest you! Plan your collections – think about how they will be organised. 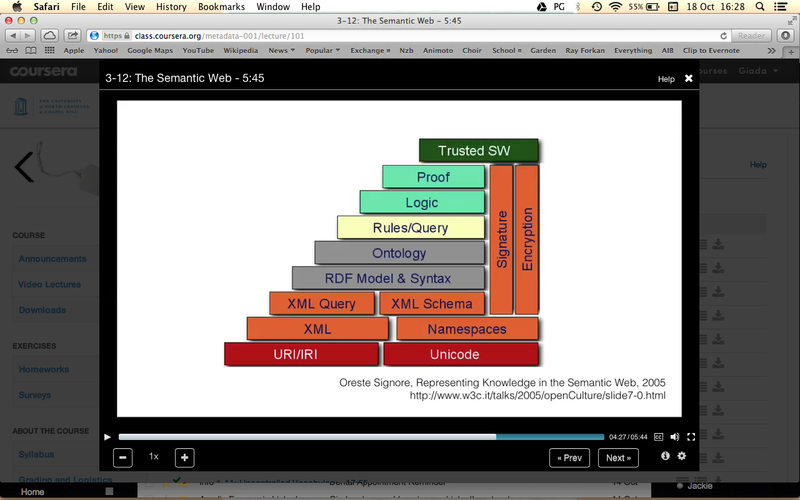 Look at how RIAN is currently structure to get an idea of how you should organise your own repository to match up. Plan metadata fields and consistently apply them. Create a list of RIAN fields and pair them with your own (can be literal or programmatic). Excel can be useful for this purpose. Full text instructions can be translated to programming language fairly easily. Build an OAI-PMH crosswalk called rian_dc. You can use basic Java for DSpace or Perl for EPrints. Once you have completed the crosswalk to make your fields match RIAN’s format, Enovation Services (the company hosting RIAN’s site) can create an institution page on RIAN and perform a test harvest to see if it worked. If everything is in order, a full harvest will follow. To get RIAN to harvest you, you will need to contact the chair of the Irish University Association Librarian’s Group (currently John Cox of NUIG). Much needed help is at hand for RIAN new joiners from Joseph Greene (UCD), Sinead Keogh (UL) and Fran Callaghan (DCU). You can also consult Repositories Support Ireland on http://www.resupie.ie/moodle and join the mailing list for updates. The Social Work department at CUH Temple Street was badly in need of a centralised, easy to access and easy to search repository to store research material and references. Unfortunately, they had no money to finance this, so the challenge was to find a way to set up a repository without any budget. Jane Burns volunteered to be the project manager, and recruited four Library and Information Studies volunteers to assist her. Work commenced on scoping and organising the material; not an easy task given the paper-based nature of the work. Classification schemes and file naming conventions were established. After some trial and error (often due to the old infrastructure of Temple Street), Zotero was identified as a suitable free resource. It had to be completely stand-alone due to privacy concerns, so there are strict limits on access to the Zotero system. Of necessity, it is limited to in-house access and sharing rather than full OA. Despite having no budget, the team were able to create a fully functional in-house repository, with supporting documentation. Yvonne Desmond of DIT encouraged us to ‘think outside the box’ and look at repositories as a way to engage students and faculty. The ARROW@DIT repository hosts a huge variety of material, including journals such as the Irish Journal of Religious Tourism and Pilgrimage and the Irish Journal of Academic Practice to name but two. Given that DIT has a strong culinary arts school, the Gastronomy Archive is a popular resource. 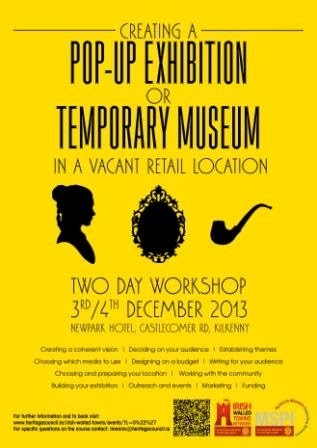 DIT will be hosting the Dublin Gastronomy Symposium in 2014. Students are encouraged to publish their material on the repository as a step-up in their academic career, as well as being a means of preserving their work. 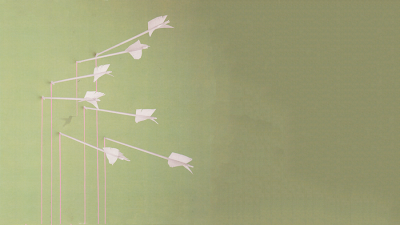 The focal point of the ARROW homepage is the Discipline Wheel – a bright and accessible icon designed to allow easy browsing of the collections on the repository. The sunwheel is intuitively designed, but is also accompanied by a YouTube tutorial to explain how to navigate it. A massive 613 disciplines are covered, divided into 10 main categories. Gary Cullen represented the newly formed Connacht-Ulster Alliance, a strategic alliance between the Institutes of Technology in Letterkenny, Galway/Mayo and Sligo. Their ultimate goal is to be re-designated as a Technological University. 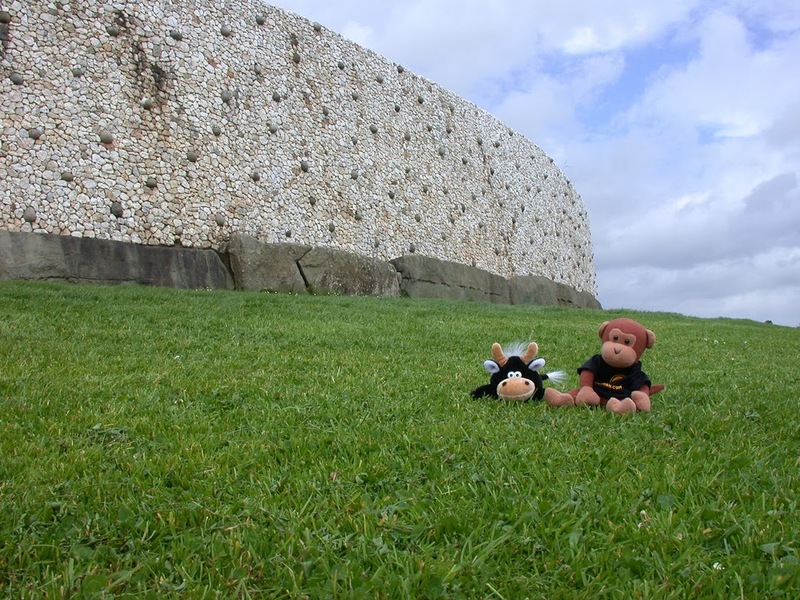 A central repository will be part of this alliance, and Gary was hoping that the RNI TeachMeet would give him an opportunity to ask questions and seek advice on how to set up a repository from scratch. St. Patrick’s College mainly concentrates on Education and the Humanities, so the material on the repository will consist mainly of publications and theses, and specialised projects in Art, Music, and the Irish Language (one example being a collection of photos of children’s school projects). In the initial stages of planning, a working group was set up with members of the Library, IT and Research. This group reports to a management committee within St. Patrick’s College. A staff survey was conducted to explore opinions on IRs. As was the case in UCC, staff voiced concerns about copyright and the impact on publication. There was a view that publishing on the repository could negatively impact small or societal publications. Quality control was also flagged as a potential issue. The survey highlighted varying levels of engagement and knowledge on the subject of repositories and OA. After much consideration, St. Patrick’s College have opted for Discovery Garden, created by the University of Prince Edward Island's Robertson Library specifically for hosting institutional repositories. It’s an Islandora system, modelled on Fedora, Drupal front-ended, open-source and cloud-based. When the repository is up and running, St. Patrick’s College are hoping to build in an e-submission policy for theses. To build the collection, there will be a retrospective call for staff publications. Existing staff publications must be collated and publishers contacted. This in itself is a time-consuming and difficult task, especially given the fact that not all Irish publications are on SHERPA/ROMEO and can be difficult to track down. Niamh Brennan (TCD) spoke about how the material on your Institutional Repository can become visible not just nationally, but internationally. Institutions should make themselves aware of European collaborations such as OpenAIRE, which holds EU funded papers. No Irish institutions are on it as yet, but this will change soon. There is a procedure for making works OpenAIRE compliant – contact Niamh for more information. Another example of a European collaboration is PEER (Publishing and the Ecology of European Research). Trinity College’s TARA is a partner repository. Major academic publishing companies such as Elsevier, Springer, Wiley and Taylor Francis etc. have provided content. Interestingly, they found that it didn’t detract from their business but rather added to it. Web analytics such as Google Analytics can be very useful to monitor traffic, and the results can be surprising. 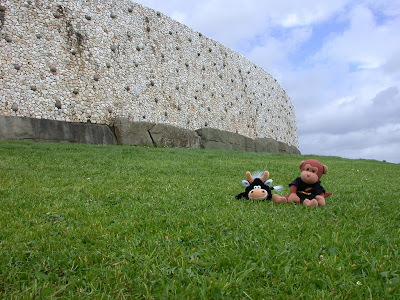 (the example given was the variety of countries accessing the book “Sin, Sheep and Scotsmen” by WE Vaughan!) It can be a powerful marketing tool to show lecturers how their work is reaching new and varied audiences. The impact of a repository can be far reaching, and it can have societal, economic and cultural influences. Stephanie Ronan of the IMI offered some handy advice on joining RIAN based on recent experience. - Note that the subject line isn’t mandatory in DSpace but is for RIAN. Take note of other mandatory fields on RIAN. The TeachMeet finished with an open discussion in groups to talk about the aims and goals of the RNI. - Ensuring repository fields match up to those on RIAN : Crosswalks. The groups also discussed which type of forum might be suitable for the RNI – it would need to be private, but also allow conversations. Possibilities include the wiki, a LinkedIn group or maybe a Wordpress discussion forum. As regards the formality of the group, it was agreed that it should be formal enough to have assigned roles but not so formal as to be a society etc. 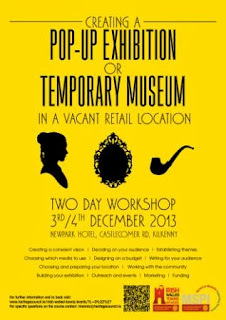 Further meetings will take place in 2014, and not necessarily in Dublin, given the range of institutions present. That's this report (not my blog post! :)). Last week saw the release of another excellent Project Information Literacy report: "Learning the Ropes: How Freshmen Conduct Course Research Once They Enter College,", which provides insight into how first year college students manage the transition to a complex and unfamiliar information environment. Although based on interviews and survey data from the US, many of the findings will likely be relevant across many academic settings. The difference in scale between high school and college libraries (which may be up to a factor of twenty depending on the type of resource). From an Irish perspective, where there are in fact very few second level school libraries, I imagine this difference is even more pronounced. Indeed in some cases, students' only knowledge of a library prior to entering university may be from their experience using public libraries (if even this) . The most difficult research tasks related to online searching, with three quarters of the sample reporting difficulties selecting keywords, and over half finding themselves overburdened with large volumes of irrelevant information. Identifying and selecting potential sources was the third most frequent difficulty experienced by students. Devising effective search strategies for databases that are comprehensive but reasonably specific is not easy. Ask anyone who has ever undertaken a systematic review. But we need to remember that first year undergraduates are not writing a systematic review, they are finding their way around the landscape and learning as they go. They don't need every single paper, they need a few important and relevant ones, which (most importantly) they can evaluate, analyse, critique, synthesise and use with their own ideas and arguments. It is not just finding information that is a problem however, with over 40% expressing difficulty in making sense of, and using, the information they had found. If we target our instruction solely at retrieving and extracting information, we may be showing our users where the door is, but still not giving them the key. After reading the report, I believe it points to a need to simplify a lot of what we offer to users. I think well-designed discovery tools and Google Scholar can work extremely well for transitioning undergraduates. They simplify the process of retrieval for students (and yes, they oversimplify it as well) in a way that looks and feels familiar, freeing up significant time for developing skills for evaluating, using and managing information. I know some librarians feel that encouraging students to use these tools somehow 'lessens' the value of library databases like JSTOR or Web of Science, but in reality it is simply exposing our subscription content in a new way. For many undergraduates, the alternative to using discovery platforms and Google Scholar is not embracing half a dozen specialist databases and boolean logic, but rather switching off from library resources altogether. It's difficult not to post something about the recent Elsevier/Academic.edu take-down notice situation, even if it has already been heavily blogged about and discussed. It has now emerged that it is not just Academic.edu in Elsevier's field of vision, but also personal websites, such as wordpress blogs. For those looking for an overview of some of the issues I would recommend Scholarly Kitchen's discussion, and there is a good round up of blog posts and news article on ScienceBlogs. As much as I don't like saying it, I think Elsevier are correct in what they are doing. If an author signs a copyright agreement that prohibits uploading a publisher's final version, he or she should uphold it in my opinion. The real problem is that copyright agreements are typically very unfair on authors in the first instance, and it is this that needs to be changed. From my experience there can be a lot of confusion over what level of sharing is allowed by authors, with some believing they are free to share 'their' articles where they like, as it is 'their' work. This, however, does not make breaching such legal agreements and contracts 'right'. Hopefully, the biggest effect of the Elsevier TDNs is that authors will now understand how restrictive publishing contracts are and the rights they are giving up, and henceforth renegotiate as far as possible and maximise what they can do to disseminate their research through legal means, such as institutional repositories. In truth, I believe the Academic.edu TDN situation is a good great news story for IRs, and ultimately, sustainable open access. Whilst sites like ResearchGate and Academia.edu may provide a platform for authors to share their work and their simplicity may be appealing, there is no guarantee that these platforms will exist in a year's time, nevermind five or ten years' time. More importantly, open access is not the raison d'etre of these research networks, but merely a convenient by-product which has garnered them good-will from users. Researchers also need to remember that by using such sites they are willingly providing their data and analytics to a for-profit third party site to resell. In reality, these sites may actually be holding back open access by reducing green repository deposits and providing a sticking-plaster solution as regards accessibility, that has just about stopped the issue from boiling over. Until now. Last Friday, I attended a half-day workshop at the RIA, which provided a birds-eye view introduction to GoogleRefine. The morning session kicked off with a 45-minute recap on the history/complexity/limitations of databases. The rest of the time was spent playing with OpenRefine. GoogleRefine (now OpenRefine) is a standalone open source desktop for data cleanup and transformation. It displays itself as a flat table but behaves like a relational database. It’s a hugely powerful tool and requires some legwork and practice to fully exploit its potential. An immediate and very practical use of the software includes the ability to clean up messy metadata effectively. Say you have an export of a text file with some semi-structured data; you can edit it using transformations, facets and clustering to re-structure the data. GoogleRefine can also be used to convert data values to other formats and extending it with web services, for example for geocoding addresses to geographic coordinates. 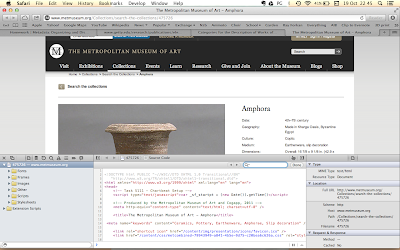 Check out http://collection.cooperhewitt.org/people/18060335/ as a good example for linked metadata (person search). final set of interesting cpd webinars. Topics covered include collection management, reader services, web design and cataloguing. Weeding is not a dirty word. Change your attitude about weeding and take charge of your collection. Learn the essential steps to make your collection more useful, comfortable, and attractive for your users. Commitment to great customer service goes beyond “service with a smile.” It is a commitment to truly engage and communicate with patrons and to find ways to extend the experience above and beyond their expectations. Building on the success of the Darien Library, whose reputation is known internationally for providing “extreme customer service”, presenter Gretchen Caserotti will provide you with practical and actionable ideas that can help your library, whether small or large, commit to excellent customer service. MARC is dead! How many times have you heard that during your career in libraries? This time, though, it might really be for real. In 2011, the Library of Congress (LoC) announced that it was transitioning away from the MARC format for bibliographic data. In the summer of 2012, LoC hired Zepheira to investigate the possibilities of linked data as the carrier for library descriptive information. In November of 2012, Zepheira and LoC published a report, Bibliographic Framework as a Web of Data: Linked Data Model and Supporting Services, often referred to as the BIBFRAME Primer. You can follow BIBFRAME developments at BIBFRAME.org, but to help you get started, UW-Madison SLIS Continuing Education Services is providing two free Webinars, taught by Kevin Ford of the LoC MARC Standards Office, and BIBFRAME Initiative. The first 100 attendees to sign up will be able to watch the webinar live; those who sign up later will receive emails with links to the recordings. Back in 2012, Paul Vierkant and his team of three at the Information Management Department at the Berlin School of Library and Information Science conducted the most thorough snapshot survey of German open access repositories to date. For practical purposes, Vierkant et al. developed their own definition as to what a digital open access repository denotes within the context of their census project. “The Census "[...] definition of Open Access Repository includes repositories that are institutional, cross-institutional or disciplinary providing (in the majority of cases) full-text open access scientific publications together with descriptive metadata through a GUI (with search/browse functionality). The repositories are registered with a functioning and harvestable base URL in at least one of the following registries: ROAR, OpenDOAR, OAI, DINI and BASE." (Vierkant, 2013). 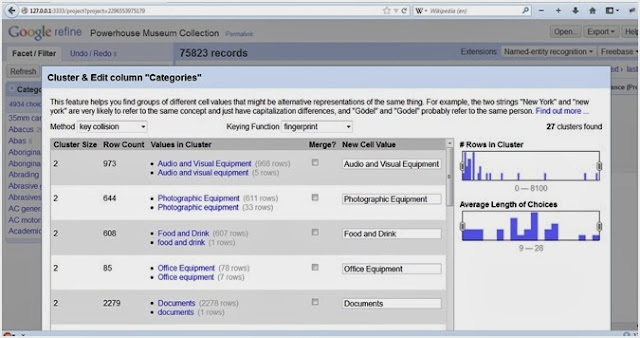 Repositories that host digital collections, open access journal aggregators and research data were not included in this snapshot survey as they are difficult to compare due to their significant differences in character, scope and content. The survey took place on 14th February 2012. Within the context of the above definition, 141 active open access repositories are operational in Germany to date. In total, over 704,121 items are accessible through open access. 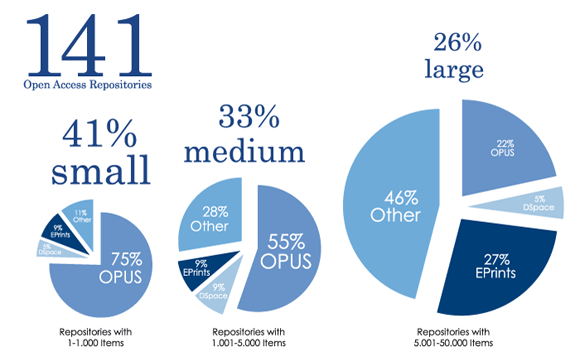 The majority (57) of individual repositories contain ≤ 1,000 items. Nordrhein-Westfalen (the most populated Bundesland) hosts 27 repositories, followed by Baden-Württemberg (28) and Bayern (22). The top five largest open access repositories are 1) elib Publikationen des DLR (46,136 items), 2) EconStor (45,268 items), 3) German Medical Science (41,753 items), PUP – Universität Bielefeld (32,695 items), 5) ePIC – AWI (29,480 items). It is interesting to see that one third of Germany’s open access repositories avail of hosting services: the smaller the repository, the more likely it is that they are hosted off site. German repositories offer the following basic services, but they are not collectively present in all instances. Bibliographic export is offered by 56%; usage statistics is offered by 24%; checksum provision is offered by 36%; RSS feed services is offered by 48%; Social bookmarking services are offered by 45%; Social bookmarking (such as Facebook, Twitter or AddThis button) is offered by 11%. The reasons given why German repositories (don’t) offer value-added services are speculative in the report. Germany is considered to be “OPUS-country”: 77 out of 141 repositories use OPUS (open source). Only 9 repositories run DSpace, which is the biggest open source software platform for repository services. Simple Dublin Core is supported by 99% of all repository instances. The full results of the survey can be accessed here. As an aside, UKSG will be running a 45-minute webinar on 20th November: Managing Open Access in the Library (it offers a thorough introduction to open access and explains how open access advocacy and other related procedures can be integrated into libraries). Below is a bunch of interesting and free webinars that take place this month. The topics cover MS PowerPoint 2010, Website re-design challenges, services for vision impaired patrons and where to find essential graphic novels for the adult reader. This webinar covers working with Microsoft PowerPoint to present and deliver information to your audience. You will learn about new features and time-savers to help in your day-to-day work. This session is good for beginner, intermediate, or advanced users – everyone will learn something! The task of keeping a website relevant, engaging and on-trend with modern technology can be a daunting, costly, and stressful process. Even website redesign projects with the most detailed project plans and requirements often fail due to a number of common mistakes. Don’t let your website redesign be next – avoid these pitfalls and ensure you start off on the road to success. Does your library provide assistive technology for patrons who are blind or have low vision? Or is this a goal for the near future? Join this session to learn from the Itasca Community Library (IL), which provides special technology, services, materials and equipment for patrons with vision impairments. A Vision Centre was created in the library. Are you wondering how to recommend graphic novels to adult leisure readers? Are you uncomfortable talking with adults who want to discuss graphic novels because you’re not the “staff expert”? Do you know where to find essential graphic novel titles that should be included in most library collections? Even though graphic novels continue to become more visible in library collections, adults often don’t consider reading in this format. Staff providing reader’s advisory may also feel at a loss when attempting to include graphic novels as suggestions. This hour-long webinar will help staff broaden their skills by adding graphic novels to their recommendations. It will show how to locate satisfying and often little-known graphic novels that respond to both the subject interest and personal appeal factors in readers who have little experience with the format. Ideas for encouraging experienced comics readers to move to graphic novels will also be discussed. Collection development staff will learn sources for graphic novels that are essential to most collections for adult leisure readers. - Know the history and key elements that make up the graphic novel. - Be able to discuss the literary appeal graphic novels will have for adult readers. - Recognise literary genres in graphic novel form. - Have techniques for recommending graphic novels to adults based on their other reading interests. This webinar is aimed at those who work with adults and with materials published for the adult reader market. It will be of interest to readers’ advisers and collection developers at any type of library serving adults. Sometimes it surprises me just how many books on research design and methods have been written without the practitioner in mind. Whilst I understand that the majority of texts may be principally aimed at the academic sector, research and evaluation are also fundamental skills in most workplace contexts. LIS is one such case, and indeed a sector that has seen the philosophy of evidence based practice grow steadily over the past ten or fifteen years to a point where assessment, metrics and evaluation are now cornerstones of service design and delivery. 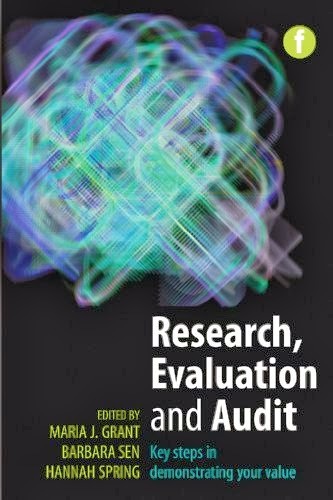 Research, Evaluation and Audit brings together many of the key names who have been involved in both the emergence and development of EBLIP, in a book that is written and packaged firmly with the practitioner in mind. From the outset, it is evident that the editors understand the real challenges when it comes to librarians and practitioners undertaking research. It is not just a simple matter of learning how to carry out research from a technical perspective, and which methods are appropriate and why; it starts at a much more fundamental level. Indeed in some cases, the concept of evidence based practice requires developing a new mindset - one that continuously questions, seeks and appraises rather than relying on experience, habits and traditions. The contributors to this book clearly recognise and acknowledge the complexity of this challenge. The editors have skillfully managed to curate and incorporate the broader issues involved in adopting an evidence based approach, including the need to develop a curious and analytical mindset; cultivating the habit of asking the right questions; practical aspects like writing a project plan to give clarity and keep things on track; ethics and best practice. It's refreshing to see that it is nearly 100 pages before research methods are discussed in any detail, and that the second chapter is dedicated to the broader issue of building confidence is indicative of the holistic focus of the book. This breadth however, means that the second party of the book, which deals with methods and data analysis, may be too introductory and brief for some. It really serves as an overview, and provides a diving-off point for researchers who can consult the recommended further reading for more specific information on methods or techniques. A chapter on research tools is a welcome and unusual addition, and provides some useful links and applications for current awareness, reference management and surveys. Peppered throughout the book illustrative case studies of 'real' research demonstrate just how intertwined research and evaluation are with service delivery. It serves as a reality-check for those who may claim their job is to 'support research, not to undertake it'. Research is not something that should be viewed as disconnected and separate from our day jobs, but about finding answers to the key questions that affect our services. Finding the best quality evidence helps us to do our jobs better, as well as to ascertain and demonstrate impact in an era when the need to communicate our value is greater than ever. To me this book is not so much a one-stop-shop for those undertaking research in LIS; instead its greatest value lies in how it gently steers the reader through the research terrain, highlighting both the pitfalls and best routes to take, and giving them the context and insight to navigate and reach their own destination. Indeed it is likely that once the reader gets involved in any kind of project, this will be just one of several research texts that they reach for. However, it might ultimately end up being the most essential, by being the one that started them on their journey in the first place. 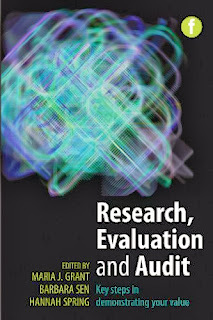 Research, Evaluation and Audit: Key steps in demonstrating your value by M.J. Grant, B. Sen & H. Spring (eds.) is published by Facet, October 2013.